Doctor recommended and clinically proven to provide relief for 80% of first-time users. Finally, sustainable and lasting relief for chronic and severe dry eyes with your own tears. No more drops. How It Works – How to Help Dry Eyes Our unique proprietary and all natural formula is clinically proven to achieve chronic dry eye relief from the inside out through increasing intracellular metabolism (Mito-Activation), membrane permeability, and blood micro-circulation. These processes stimulate all the tear glands (meibomian, lacrimal, and goblet cells) to secrete their own tears naturally and overcome issues. Are Your Eyes Red, Irritated, Tired, Blurry Vision, Sandy Gritty, Light Sensitive, Stinging with Eye Pain? 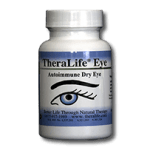 TheraLife is absolutely the only answer to chronic dry eyes. TheraLife® completed a Phase IIb, six-site, double-blind, placebo-controlled clinical trial, in which it was demonstrated that TheraLife® Eye provided significant improvement of dry eye syndrome when compared to a placebo. 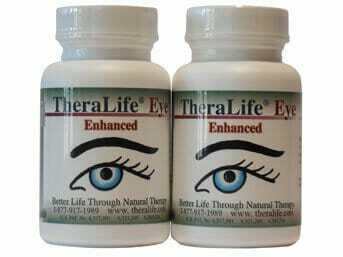 Data shows that TheraLife® Eye is successful at providing relief for 80% of first-time users. 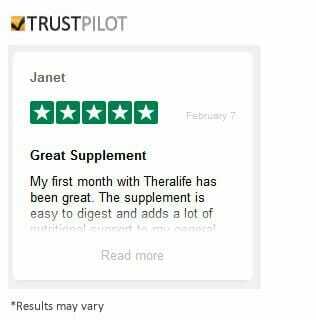 The TheraLife® management team and scientific advisors represent the best of the best from the pharmaceutical, biopharmaceutical, alternative medicine and medical technology fields. The company has been granted three U.S. patents and has five additional patents pending. TheraLife® knows how to help dry eyes! TheraLife® Inc. offers a 90-day money back guarantee on all products. All natural product without the side effects of drugs. Sustainable and lasting relief for chronic dry eye discomfort. Helps restore your eyes’ ability to produce their own natural tears. Clinically proven results—86% of patients in a clinical study showed increased tear production. More than fish oil or flax seed oil—our unique, patented formulation of nutrients, phytochemicals, and proprietary herbal extracts improve ocular micro-circulation to deliver more nutrients and oxygen to the eye while carrying out more harmful waste products. Mito-Activation boosts intracellular metabolism and restores normal cell function. Keeps your eyes healthier, stronger, and feeling younger. 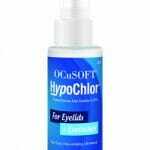 Revitalizes and strengthens the eye’s tear secretion functions. Helps reduce irritation and inflammation of the tear glands, eye surfaces, and eyelids. Contains all the antioxidant ingredients included in the National Eye Institute’s Age Related Macular Degeneration Study (AREDS). it a 4 or 5-Star rating. For first time users! Our ultimate approach to dry eye relief includes TheraLife® Eye Enhanced plus TheraLife® Omega-3 Fish Oil. We also recommend the following products to support dry eye relief.